Delloch Circu Hand is the newest, low impact way to promote circulation, reduce stiffness and reduce swelling in your hands. Gently exercise arthritic fingers and wrists, rehab following carpal tunnel surgery or strengthen fingers, wrists and forearms. For seniors who are bed ridden, this is a great form of exercise provided their health care provider approves. Simple to use: Blow into the clear plastic valve to fill one section with air and then replace the valve in the plug. 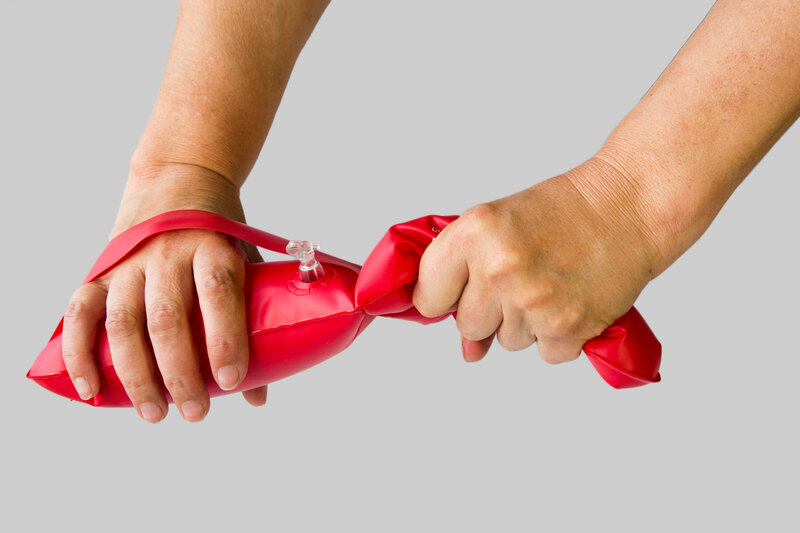 Slip one hand through the strap to stabalize your grip and hold the other end with the opposite hand. Gently squeeze one side, displacing the air into the other section and then repeat with the opposite hand. Repeat. STOP if any exercise becomes uncomfortable or if you are advised not to do this exercise by your health care professional.